The incredible true story of the world’s greatest unknown film maker. Working mostly alone, and in complete obscurity, NZ cinema pioneer Colin McKenzie made his own film stock out of flax and egg whites; he invented his own sound and colour processes; and used both tracking shots, and close ups before anyone else. He later singlehandedly built a Biblical city for his epic adaptation of Salome which was funded by Soviet Russia and the Mafia. Such an extraordinary story could only be based on fact, or could it? ARE COPIES AVAILABLE ON DVD? This film was not widely available after about 2005. Used DVD copies could be found on Amazon, but at generally silly prices. I set about trying to rectify this situation myself. A digitally remastered version was made in 2008, courtesy of Peter Jackson and Park Road Post. This was vastly superior to the extant video master used to make earlier tape and DVD editions. I wanted to crack straight into authoring a new DVD. But a significant obstacle was getting a commentary from Peter to accompany the film. The first DVD editions had only a commentary from me (made in rushed circumstances and not very good). Unfortunately, Peter was never able to make time for the recording, and I was pretty busy myself. After a few more years of stalemate, I decided I would bring out an interim DVD with the remastered film, and some bonus content – an informative ‘behind the scenes’ documentary, and some deleted scenes, which includes a new joke I wish we had included in the original film. It’s standard definition, sorry, but BluRays are not very economic to make in low volumes. If that changes, I’ll look at authoring an HD disc. Shame about the commentaries., but maybe that will be rectified one day (though, meantime, I can supply some text based interview material to anyone interested. Just email me and ask. It’s October 29th, 2015, the 20th anniversary of Forgotten Silver’s very first public screening! Holy hell … Where have twenty years gone so quick? This must be a hoax! Forgotten Silver – Television | NZ On Screen. Costa Botes « Struck by Enlightning. Forgotten Silver Movie Reviews, Pictures – Rotten Tomatoes. 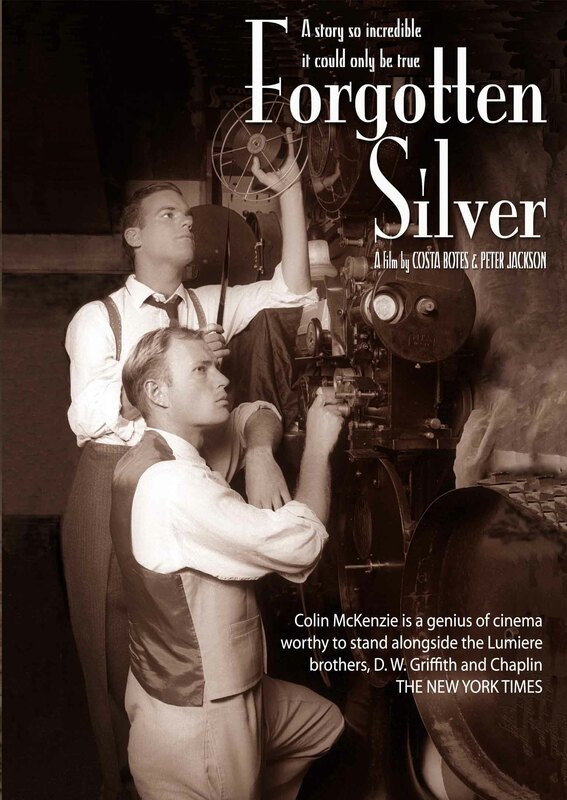 Looking for a copy of Forgotten Silver to use as an entertaining, example of mockumentary for high school students. How are the new copies coming along? I haven’t been able to source anything, so far, from anywhere. The honest answer is we’re stuck. I don’t want to put it out without some kind of contribution – via commentary or interview – from Peter Jackson; and for over two years now he has simply not been available. A very busy man, as you might guess. It’s frustrating, and I hope the situation changes at some point in the near future. I’ve been searching for a copy of this for years and I’m just about to pull the trigger on a copy of this amazing film from Amazon. Any word on when you might be able to get Peter involved? I’d much rather see my money go to you directly for a remastered and (fingers crossed) bluray edition! I remember watching this in my media studies class at high school. It was used as an example of a well made mockumentary. I was a bit suspicious throughout the film but believed it all the same. I think it’s awesome. You are very talented! Hi Costa, I’m Erica from Italy, I’d like you to know that I’m writing my senior thesis about your amazing mockumentary! I’m looking for a dvd copy with italian subtitles but apparently it doesn’t exist, so until now I’ve been working on an english copy with amateur italian subtitles (but it’s full of mistakes!). I’m also trying to translate into italian all the interviews I could find, both written and video, but I think my english isn’t good enough to understand all the words and the common sayings! Anyway, I really enjoy doing this work and I want to compliment you for your work! Unfortunately, you’re correct, to my knowledge there is no Italian DVD edition available. I can tell you that the film was shown at the Venice film festival in 1996. The festival showed it with sur-titles, displayed on an electronic screen beneath the movie. It’s possible that the transcript of the translation used for this event might have been kept by the festival, and they might be willing to share it with you. Your English, and my time permitting, I’m happy to answer any questions you might have about the creation of this film. I well remember seeing Forgotten Silver broadcast on the SABC here in South Africa some years back long before I had heard of yourself and Peter Jackson, and took it all in, hook line and sinker, after finding out it was a “Mockumentary” I had an even greater admiration for your work. It truly is a Great piece of film making. Thanks Martin. I’m glad you forgave us! It was a very difficult but satisfying film to make. I’m happy people are still talking about it.